Clarkdale-Jerome School is proud to be an "A" school ! Through a collaborative process, Clarkdale-Jerome Elementary School District has reviewed curriculum for K-8 writing. 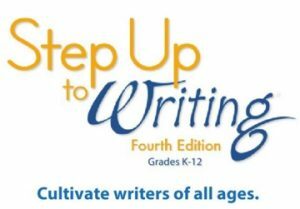 The recommended curricular program, Step Up to Writing, is comprehensive, vertically aligned, and developmentally appropriate. In accordance with Board policy, this curriculum is available for 60-day public review in our School Library at 1615 Main Street, Clarkdale, AZ. Please contact Steve Doerksen, Principal, at 928-634-5035, or steve.doerksen@cjsd.k12.az.us if you have any questions or comments.